Mike and April at SCG do an incredible job. Not only is the work they do first rate, they do it with a high degree of customer service. They always go above and beyond to make sure everything is right, and in my case, I'm always asking for special requests. Mike and his crew even came by my business unsolicited when they noticed one of my signs had suffered some wind damage...I highly recommend SCG to anyone needing signage, graphics or vehicle wraps...great company! Mike & April are truly the best in what they do. I had an idea of doing a wrap on my wakeboard boat so I called Mike & April. I explained to them what my thoughts were. They nailed it the first time!! not only did they capture my thoughts, their professional added touches made my wrap come out way better than my expectations.. 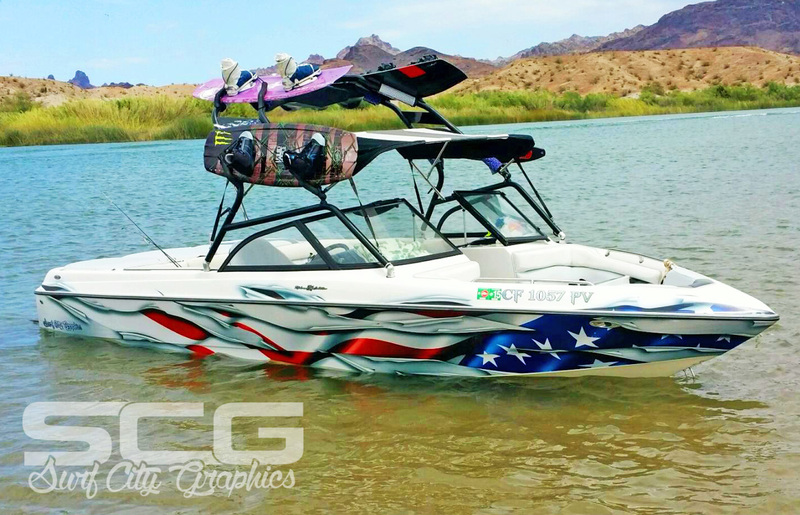 I love their work, they made my boat look amazing!!! I cant wait to do my jeep next!